The creation of photorealistic images of three-dimensional models is central to computer graphics. Photon mapping, an extension of ray tracing, makes it possible to efficiently simulate global illumination in complex scenes. Photon mapping can simulate caustics (focused light, like shimmering waves at the bottom of a swimming pool), diffuse inter-reflections (e.g., the "bleeding" of colored light from a red wall onto a white floor, giving the floor a reddish tint), and participating media (such as clouds or smoke). 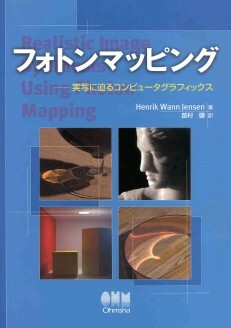 This book is a practical guide to photon mapping; it provides both the theory and the practical insight necessary to implement photon mapping and simulate all types of direct and indirect illumination efficiently.